Dovetail Joint Construction offers Full-Service Home Improvements from Concept to Completion. We are a full-service, residential and commercial general contracting company serving the Denver Metro area. 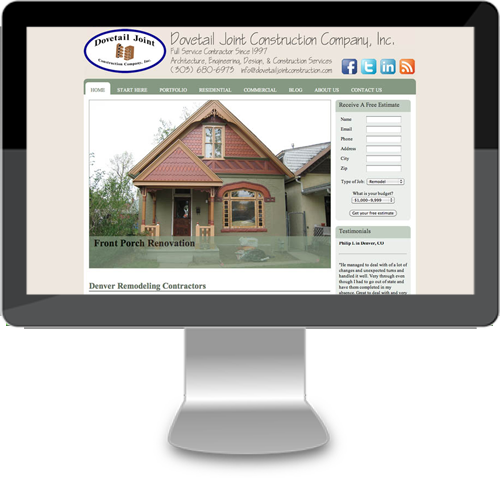 For Dovetail Joint Construction, we created a custom mobile responsive WordPress theme.